MISTY, MEET THE DEVIL! 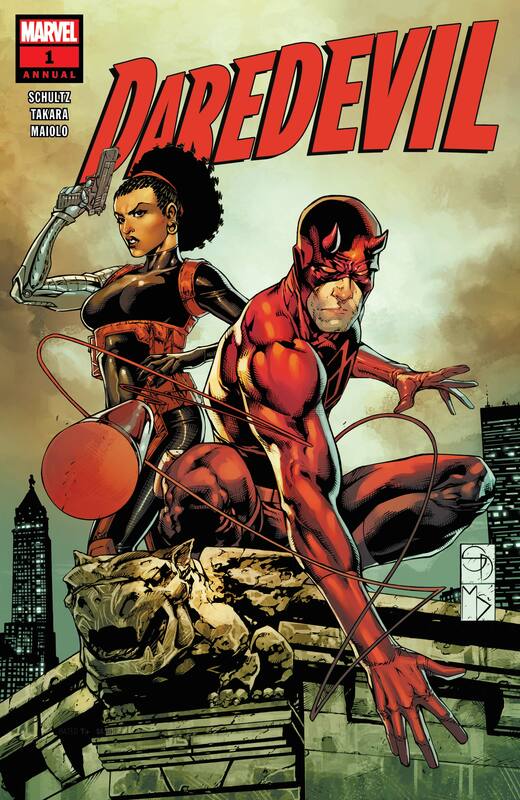 You know Daredevil as the Man Without Fear, the protector of Hell’s Kitchen. But once upon a time, Daredevil was just the newest super-suit on the block – and NYPD Detective Mercedes “Misty” Knight was just a cop on the job. 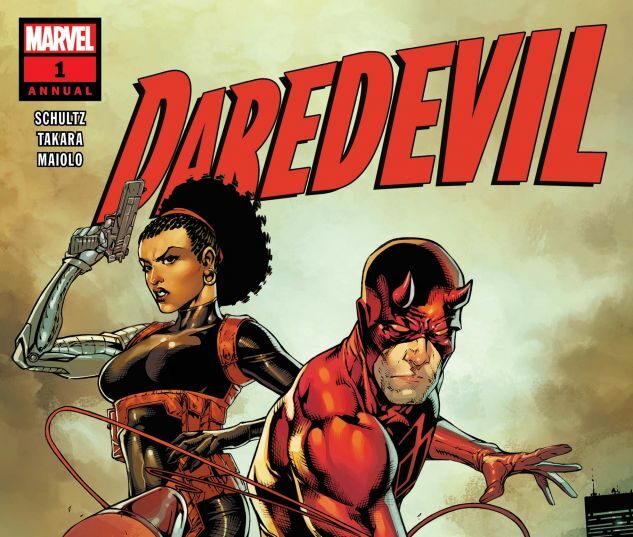 So when she places Daredevil at the scene of a crime, sparks will fly – and not the good kind. Award-winning crime writer Erica Schultz teams with fan-favorite artist Marcio Takara to bring you a story of street-level heroism in the early days of the Marvel Universe!